Publix is running an amazing gift card promotion until March 16th, 2011 that allows you to purchase discount gas gift cards from any Publix location. Publix’s weekly flier has a coupon for $10 off a $50 gas gift card, that’s a 20% discount on your gas! How great would it be to get a free $10 if gas gift cards? Best of all the promotion is not limited to any particular gas station, you can purchase Shell gift cards, BP gift cards, Exxon gift cards, Chevron gift cards and Texaco gift cards. Just pick up the gift card at the checkout, present the coupon during payment and you have yourself a great discount on Gas gift card (minimum purchase of $25 is required along with the gift cards, so pick up some groceries while your there) . There is even money to be made if you can get your hands on multiple coupons, Giftah is paying up to 92% cash back on many of these gas gift cards. If you buy multiple discount gas gift cards you can turn around and sell them on Giftah.com for a healthy profit. Now you don’t even need to own a gift card to profit from Publix’s generous gift card promotion. Be sure to take advantage of this deal while it lasts and don’t forget to turn your extra gift cards into cash on Giftah.com! You can also check out Giftah’s gift card listings for discount gas cards or even discount Publix gift cards, no matter where you are shopping Giftah.com always has discounted gift cards that will help you save money on all of your purchases. 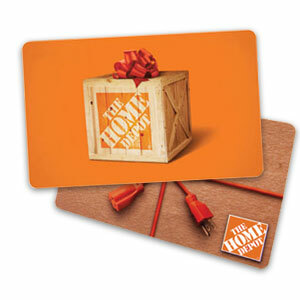 1) Check Home Depot Gift Card Balance Online, click here. 2) Check Home Depot Gift Card Balance At Any Home Depot Location. After you find out your balance ask yourself whether or not you will use your gift card balance soon or if you would rather have cash. If you decide to use your Home Depot gift card on a new project check Giftah.com for discount Home Depot gift cards to add more value to your purchase. If you are not planning on shopping there any time soon sell your Home Depot gift card to Giftah and use the cash to buy what you really want. Fathers day is approaching (Sunday, June 21st 2009) and many kids are wondering what to get dear old dad. The National Retail Federation conducted a survey to determine what gifts Americans are planning to give to their father this fathers day. The country spends on average $9.4 billion on fathers day gifts each year, with the average gift price hovering around $90. Most people spend the money on an outing such as dinner or a round of golf, gardening equipment and electronics are also popular. However more and more people each year are opting to buy their father a gift card for father’s day. There are plenty of good options when it comes to gift cards. A gift card insures that dad can buy whatever he wants, you just need to know what type of store he likes to shop at. If you decide to buy a gift card there is no point in paying full price for the card. There are plenty of discount gift cards available online. Giftah a marketplace for buying and selling gift cards online provides a wide range of discounted gift cards. You can pick up all sorts of discount electronics gift cards for dad, there are also some nice home gift cards if your dad is into renovating or even decorating around the house. Get more value this father’s day and whatever you do don’t pay retail prices when you buy gift cards. Giftah will guarantee all transactions on the site and you will save a ton of cash on their discounted gift cards. There is still plenty of time to get the perfect gift card on Giftah.